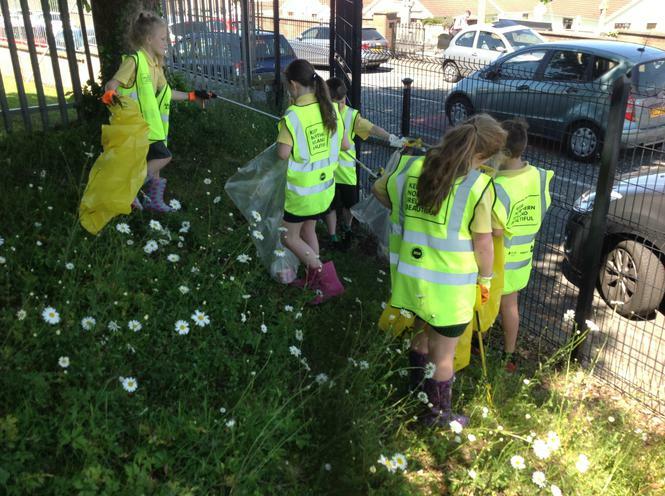 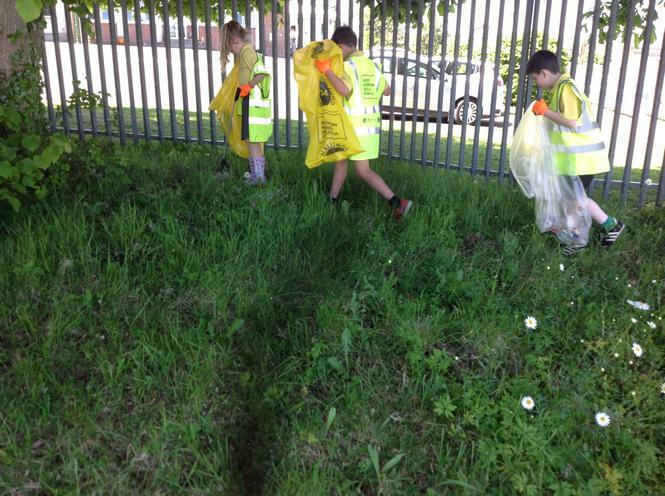 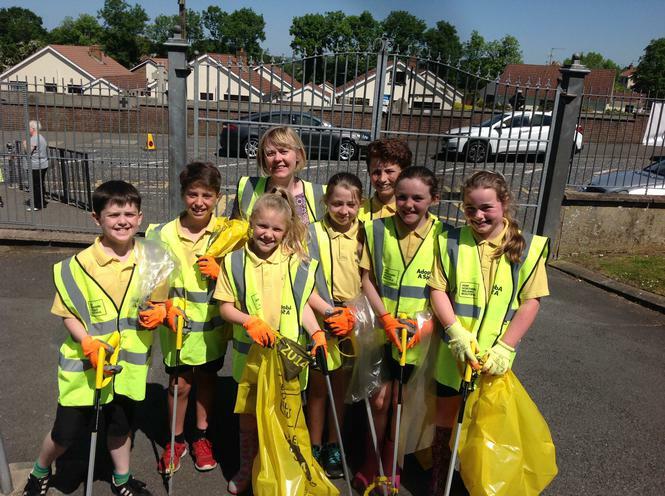 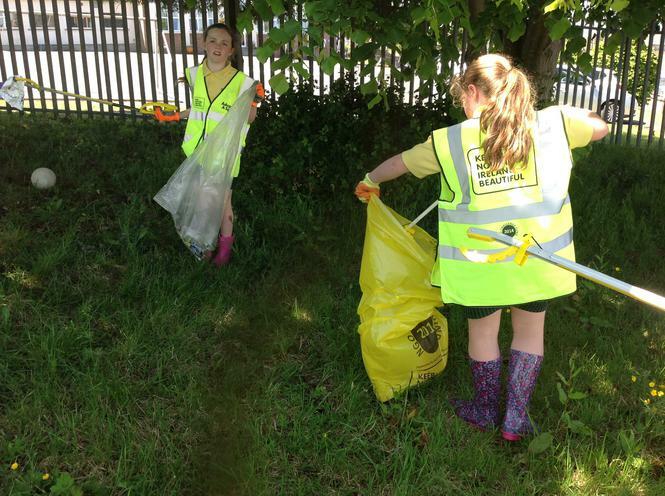 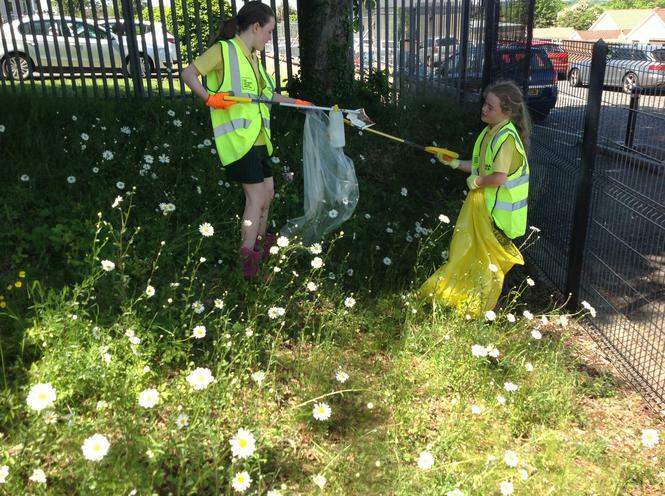 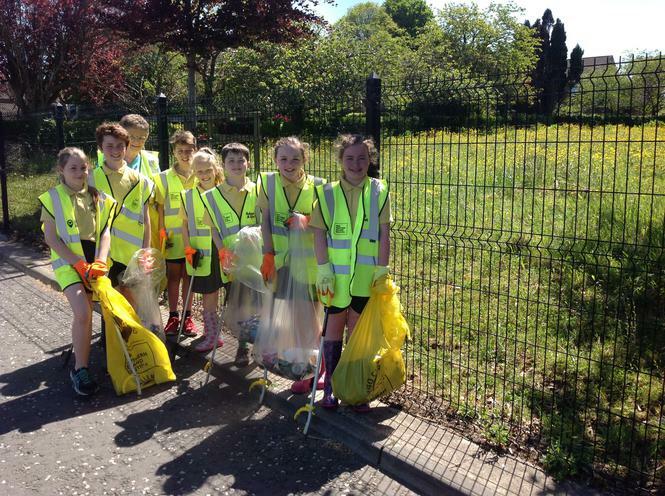 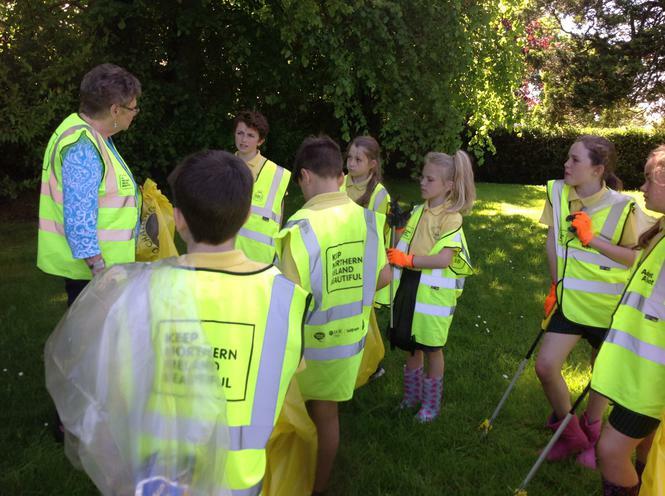 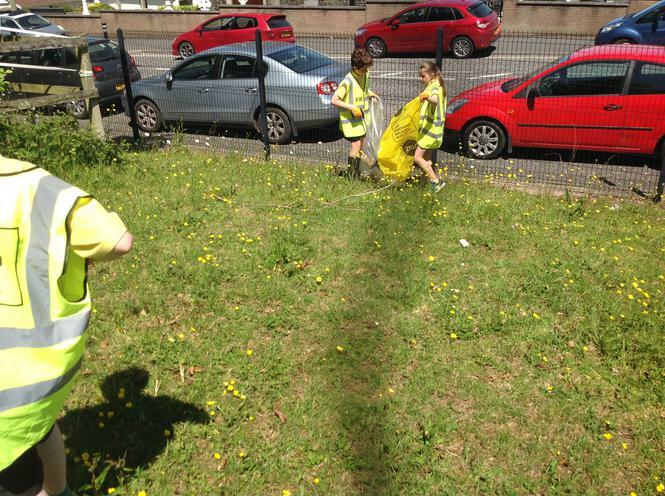 Primary 5-7 Eco Committee members went litter picking with Mrs McDowell (Eco Co-ordinator) and Nuala McAuley (Chairperson of the Board of Governors). 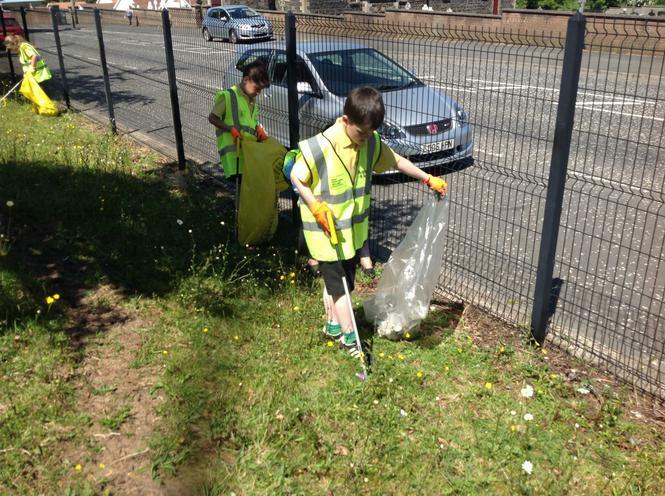 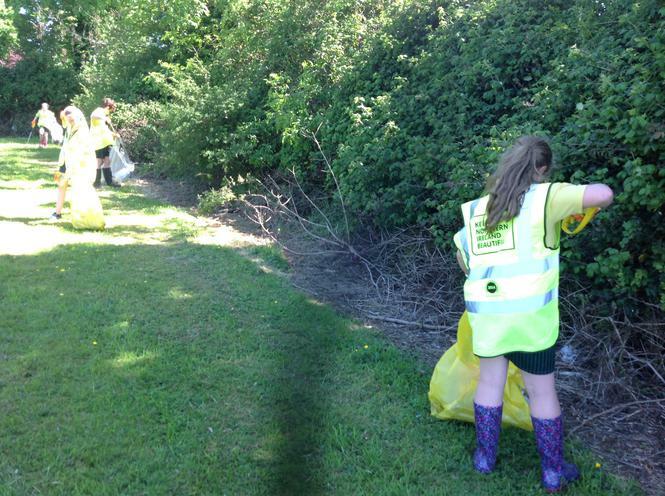 They collected litter in the field in front of the Parochial House and also the football field at the back of the school. 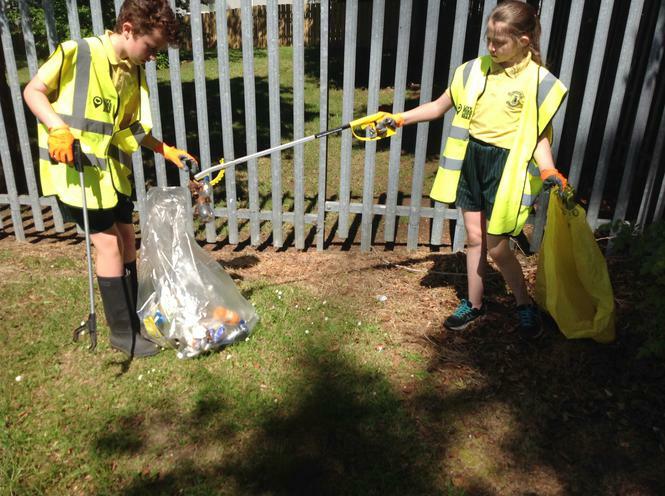 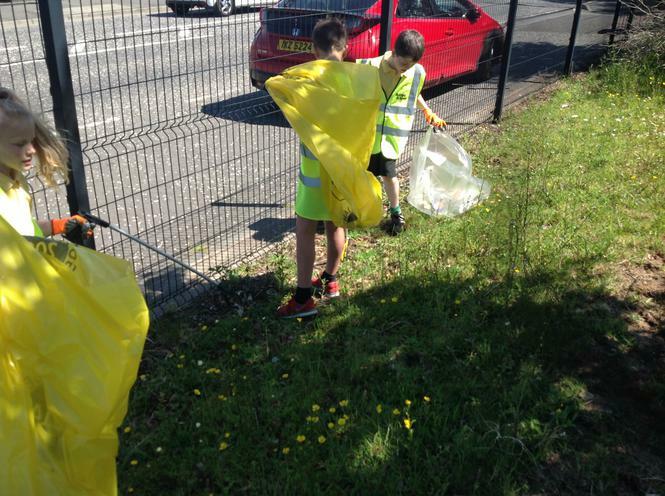 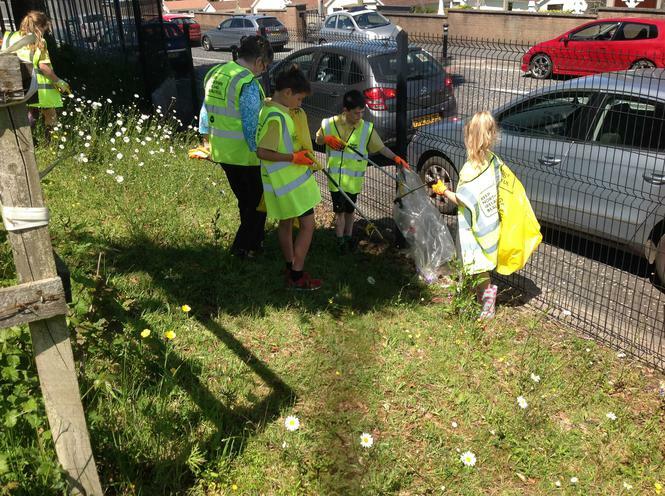 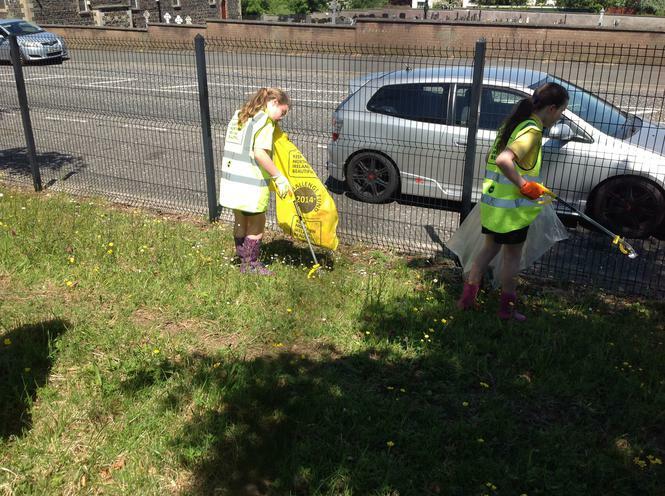 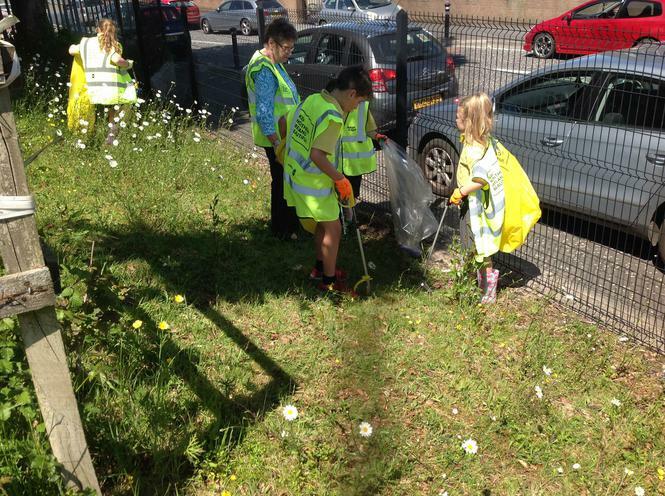 Three bags of litter and one bag of recyclable rubbish were lifted. 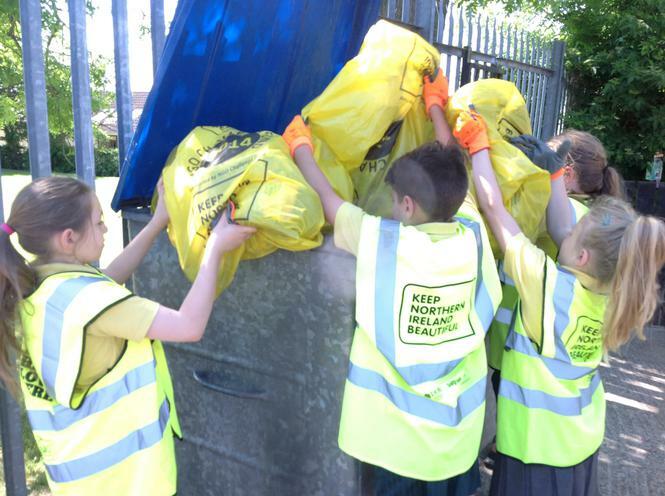 The rubbish was then put into the proper bins.